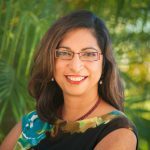 Fauzia Burke is the Founder and President of FSB Associates, an online publicity and marketing firm specializing in creating awareness for books and authors. She’s the author of Online Marketing for Busy Authors. A nationally recognized speaker and online branding expert, Fauzia writes for Huffington Post, MariaShriver.com and MindBodyGreen.